12 UNITS available in 8 STATES! LIQUIDATION: CROWN Walkie Stackers & Chargers ONLY $750 each! STATUS: Blowout pricing available for 2 WEEKS ONLY. AREA: TWELVE Locations in EIGHT States. 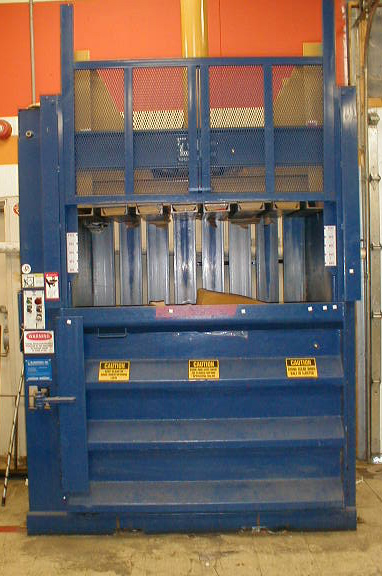 CLICK HERE to view Walkie Stacker & Charger $750 LIQUIDATION PRICE Inventory & Photo Brochure. Choose from 12 CROWN walkie stackers & chargers located in California, Florida, Illinois, Nebraska, New Mexico, Ohio, and Utah. Hurry, this special price offer is for TWO WEEKS ONLY! These pre-owned electric walk-behind walkie stacker lift trucks & chargers have been owned and maintained by a national retailer since they were new. TWELVE selected units are blow-out priced NOW at $750 each for TWO WEEKS ONLY. Must mention this promotion to receive $750 liquidation price. Contact 180 Asset Group for details. EMAIL 180 Asset Group SALES or call (800) 676-7042 x110 TODAY. Please subscribe to email alerts to track updates to this list, or follow us on Twitter or Facebook for regular updates. 37 TOTAL FORKLIFTS & LIFT TRUCKS, with 7 units just added THIS WEEK! LIQUIDATION: Excess Forklifts and Lift Trucks No Longer Required By A Big Box Retailer MUST GO NOW. STATUS: ON-GOING MULTI-STATE PROJECT — NOW IN PROGRESS. AREA: Multiple Locations ACROSS the USA. CLICK HERE to view DECEMBER 2018 Excess Forklift & Equipment Liquidation INVENTORY & PHOTO BROCHURE here. 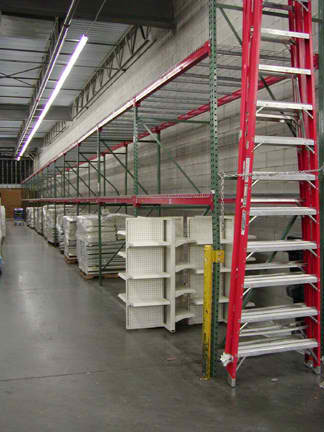 ON-GOING PROJECT: Excess lift trucks & equipment no longer required by a big box retailer at multiple locations & states. Selection varies as units are sold or added to this on-going project list. December 2018 group includes CROWN, CLARK, NISSAN & TOYOTA forklifts and walkie stackers; with units located in Arizona, California, Florida, Georgia, Hawaii, Illinois, Indiana, Louisiana, Missouri, Nebraska, New Mexico, South Carolina, Tennessee, Texas, Utah, Virginia, and Wisconsin. Chargers are included with most lift truck units, and safety-cage man-lifts are also available at some selected locations. Current & past units include Crown, Cat, Clark, JLG, Nissan, Prime Mover, Toyota and Yale brands. Current & past inventories include sit-down electric riders, walkie stackers & reach trucks. 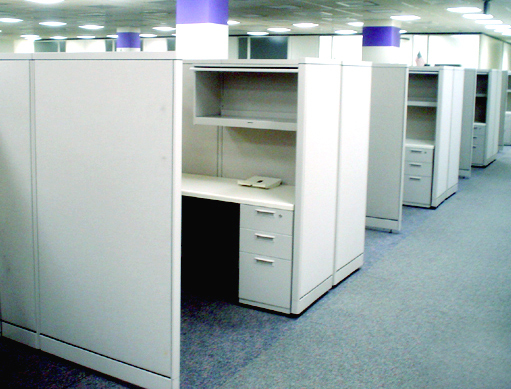 Inventory varies as as additional units across the USA are added to this list frequently. Please subscribe to email alerts to track updates to this list, or follow us on Twitter or Facebook for regular updates. Inventory varies frequently, but past units have been available across the USA, including AL, AR, CA, CO, FL, GA, HI, IL, IN, KS, KY, LA, ND, MI, MN, MO, NE, NC, ND, NM, NV, OK, OH, OR, PA, PR, SC, TN, TX, UT, VA, and WI locations. 30+ FORKLIFTS & WALKIES Must GO: Excess Lift Truck Liquidation. 30 FORKLIFTS & WALKIE STACKERS JUST ADDED! December 2018 group includes CROWN, TOYOTA, CLARK & NISSAN forklifts, CROWN walkie stackers, and a TENNANT floor cleaner; with units located in Arizona, California, Florida, Georgia, Hawaii, Illinois, Louisiana, Missouri, Nebraska, New Mexico, Tennessee, Texas, Utah, Virginia, and Wisconsin. Current & past units include Crown, Cat, JLG, Nissan, Prime Mover, and Yale brands. Current & past inventories include sit-down electric riders, walkie stackers & reach trucks. Inventory varies as as additional units across the USA are added to this list frequently. Please subscribe to email alerts to track updates to this list, or follow us on Twitter or Facebook for regular updates. Inventory varies frequently, but past units have been available across the USA, including AL, AR, CA, CO, FL, GA, HI, IL, KS, KY, LA, ND, MI, MN, MO, NE, NC, ND, NM, NV, OK, OH, OR, PA, PR, SC, TN, TX, UT, VA, and WI locations. LIQUIDATION: Excess Forklifts and Amigo Motorized Cart No Longer Required By a Big Box Retailer MUST GO NOW. AREA: St. Louis MO area. Excess CROWN electric rider forklift lift trucks & equipment no longer required by a big box retailer MUST GO NOW in the St. Louis MO area. This group includes a CROWN 35SCTF forklift & charger, a CROWN 30SCTT forklift & charger, an Amigo motorized mobility shopping cart, and a man-lift safety cage work-platform lift truck attachment. These units are part of our package of excess lifts currently available across the USA in several states. This excess lift truck inventory varies frequently, but additional units are currently available at CA, FL, MN, MO, PA, TX, and VA locations. CLICK HERE to view AUGUST 2018 Excess Forklift & Equipment Liquidation INVENTORY & PHOTO BROCHURE here. Excess lift trucks & equipment no longer required by a big box retailer at multiple locations & states. August 2018 group includes CROWN, TOYOTA & NISSAN forklifts, CROWN walkie stackers, CROWN (and other brand) pallet jacks, Amigo motorized mobility shopping cart, and a TENNANT floor cleaner; with units located in California, Florida, Georgia, Minnesota, Missouri, Pennsylvania, Texas, and Virginia. Selection varies as units are sold or added to this on-going project list, but current & past units include Crown, Cat, JLG, Nissan, Prime Mover, and Yale brands. Current & past inventories include sit-down electric riders, walkie stackers & reach trucks. Inventory varies as as additional units across the USA are added to this list frequently. Please subscribe to email alerts to track updates to this list, or follow us on Twitter or Facebook for regular updates. Inventory varies frequently, but past units have been available across the USA, including AL, AR, CA, CO, FL, GA, IL, KS, KY, LA, ND, MI, MN, MO, NE, NC, ND, NM, NV, OK, OH, OR, PA, PR, SC, TN, TX, UT, VA, and WI locations. CLICK HERE to view JUNE 2018 Excess Forklift & Equipment Liquidation INVENTORY & PHOTO BROCHURE here. Excess lift trucks & equipment no longer required by a big box retailer at multiple locations & states. June 2018 group includes CROWN/CAT/NISSAN forklifts, CROWN walkie stackers, CROWN (and other brand) pallet jacks, AMIGO motorized handicap shopping cart, and a TENNANT floor cleaner; with units located in California, Georgia, Kentucky, Minnesota, Missouri, New Mexico, Pennsylvania, Texas, Utah, and Virginia. Chargers are included with most lift truck units, and safety-cage man-lifts are available at some locations. Selection varies as units are sold or added to the list, but current & past units include Crown, Cat, JLG, Nissan, Prime Mover, and Yale brands. Current & past inventories include sit-down electric riders, walkie stackers & reach trucks. Inventory varies as as additional units across the USA are added to this list frequently. Please subscribe to email alerts to track updates to this list, or follow us on Twitter or Facebook for regular updates. 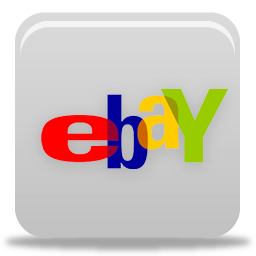 Lift Truck LIQUIDATION: CA, CO, MN, MO, NV, NM, PA, TX, VA. Excess lift trucks no longer required by a big box retailer at multiple locations & states. April 2018 group includes CROWN/CAT/NISSAN forklifts, CROWN walkie stackers, CROWN (and other brand) pallet jacks, AMIGO motorized handicap shopping cart, and a TENNANT floor cleaner; with units located in California, Colorado, Minnesota, Missouri, Nevada, New Mexico, Pennsylvania, Texas, and Virginia. Selection varies as units are sold or added to the list, but current & past units include Crown, Cat, JLG, Prime Mover, and Yale brands. Current & past inventories include sit-down electric riders, walkie stackers & reach trucks. Inventory varies as as additional units across the USA are added to this list frequently. Please subscribe to email alerts to track updates to this list, or follow us on Twitter or Facebook for regular updates. 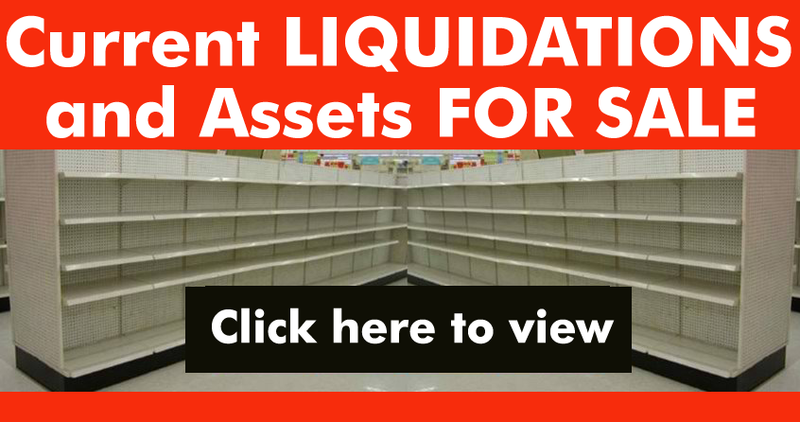 View Excess Forklift Liquidation INVENTORY & PHOTO BROCHURE here. Excess lift trucks no longer required by a big box retailer at multiple locations & states. January 2018 group includes CROWN, and YALE forklifts, CROWN walkie stackers, and a TENNANT floor cleaner; with units located in California, Colorado, Georgia, Missouri, and Texas. 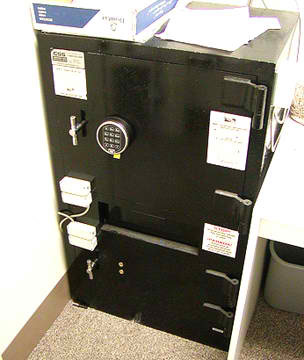 Chargers are included with most units, and safety-cage man-lifts are available at some locations. Inventory varies frequently, but past units have been available across the USA, including AL, AR, CA, CO, FL, GA, IL, KS, KY, LA, ND, MI, MN, MO, NE, NC, ND, NM, OK, OH, OR, SC, TN, TX, UT, VA, and WI locations. Excess lift trucks no longer required by a big box retailer at multiple locations & states. December 2017 group includes CROWN, and YALE forklifts, CROWN walkie stackers, and a TENNANT floor cleaner; with units located in Alabama, California, Colorado, Kentucky, Missouri, Tennessee, Texas, and Utah. 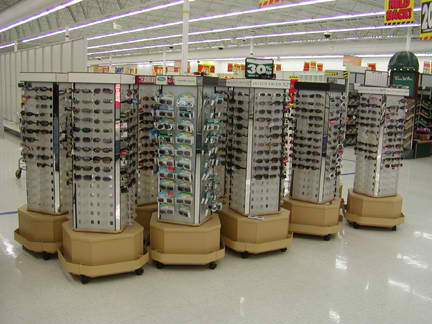 Excess lift trucks no longer required by a big box retailer at multiple locations & states. November 2017 group includes CROWN, and YALE forklifts, CROWN walkie stackers, and a TENNANT floor cleaner; with units located in California, Colorado, Missouri, Oregon, Texas, and Utah. Inventory varies frequently, but past units have been available across the USA, including AL, AR, CA, CO, FL, GA, IL, KS, LA, ND, MI, MN, MO, NE, NC, ND, NM, OK, OH, OR, SC, TN, TX, UT, VA, and WI locations.